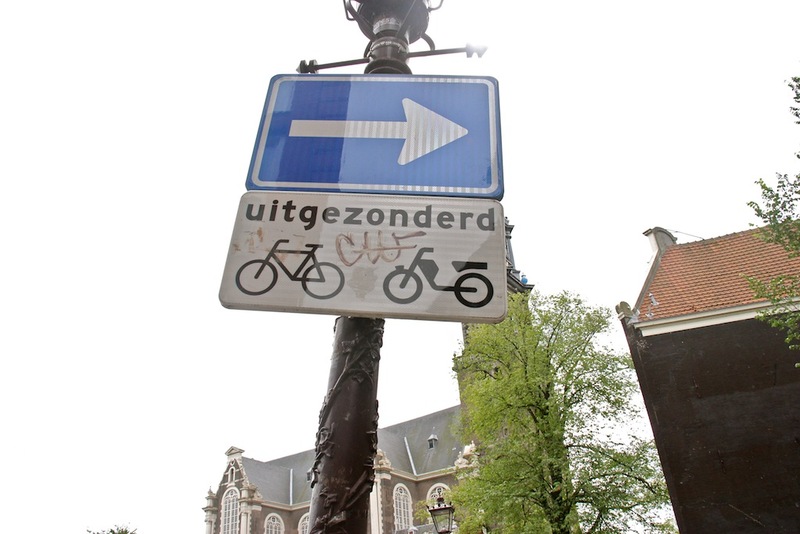 Road signage in the bike paradise that is Amsterdam, Holland. Those were the first words that came to mind when I first stepped out of Amsterdam Centraal, the city's main train terminal, after spending nearly 10 hours, switching from train to train, making my way from Berlin's Hauptbahnhof. It was just after 9 in the morning, and I was greeted with dozens of classically beautiful cruiser-esque and roadster bicycles, or fiets in Dutch. Anywhere one could fathomably chain or lock their bicycle to, rest assured there was one there. It was almost as if the city had just undergone an intense snowfall, but instead of snow, there were bicycles all around you. Oh, what a sight to see. My smile first grew when we were approaching Holland's capital city of Amsterdam. 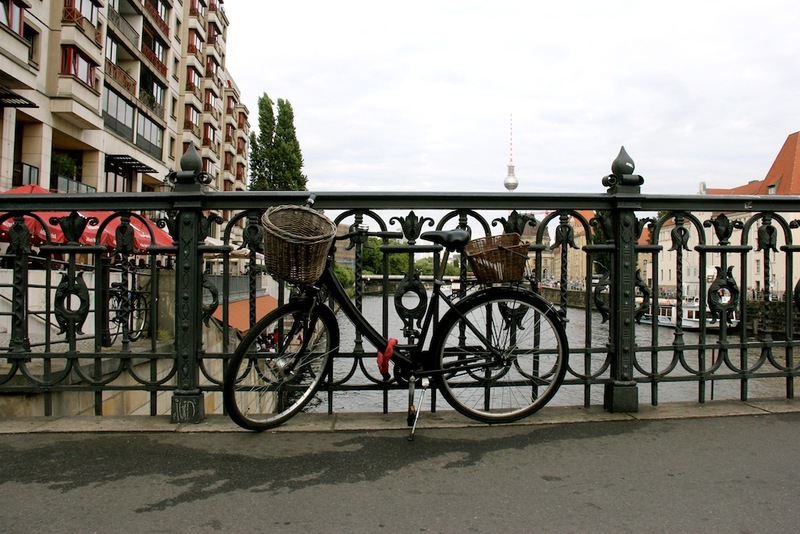 Along one of the serene canals rode a woman on her black omafiets, or Ladies roadster. 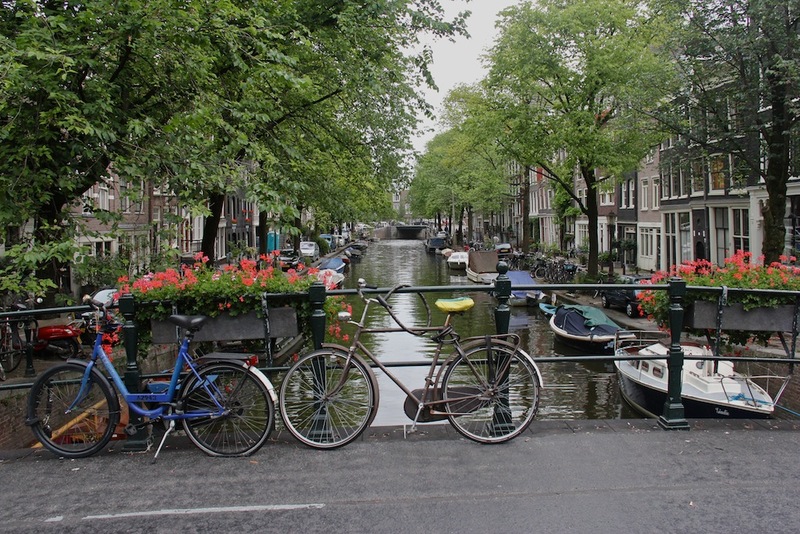 It was beyond picturesque - the tree-lined canal, the shiny bicycle being reflected in the calm canal waters below, the absolute charm of it all. After that initial cyclist sighting, I quickly lost count of the other Dutch commuters making their way into the city on their opafiets (mens roadsters) and omafiets. There's a sidewalk for pedestrians, a road for cars, and a wonderful, wide stretch of smooth grey pavement meant for those that travel by bicycle, clearly marked with easy to navigate signage. The road is shared for those on two legs, two wheels, or four, there is absolute seamless harmony among pedestrians, cyclists and motorists alike. 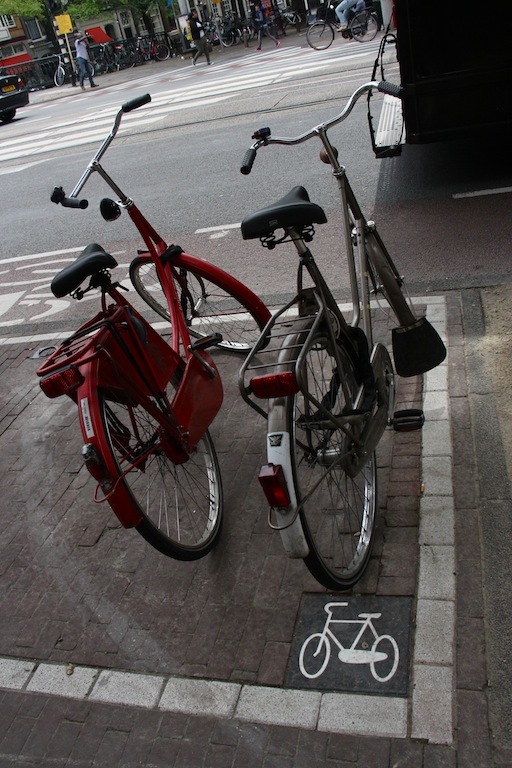 There is ample bicycle parking, too, both indoor and out. 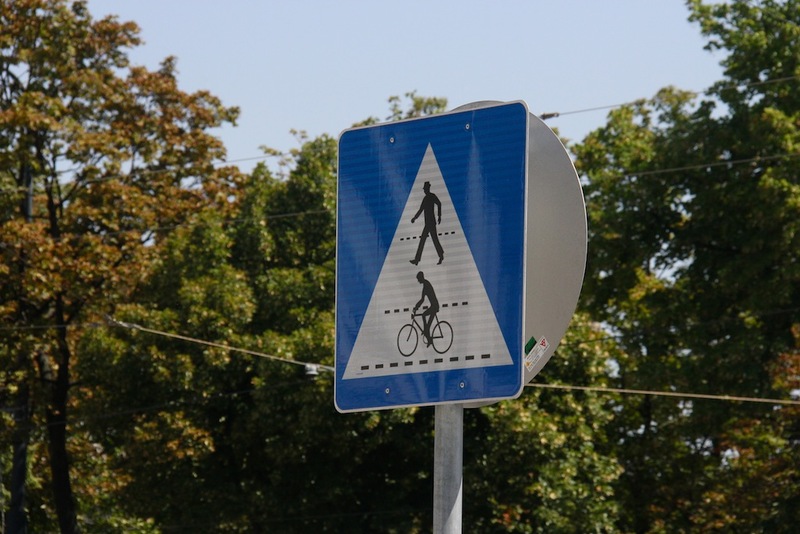 The hierarchy of this town is bicycles, then pedestrians,then cars. And there are no kerfuffles, no altercations, just an enviable balance among all three. There really is no main reason as to why the Netherlands is such a pedal-powered paradise. 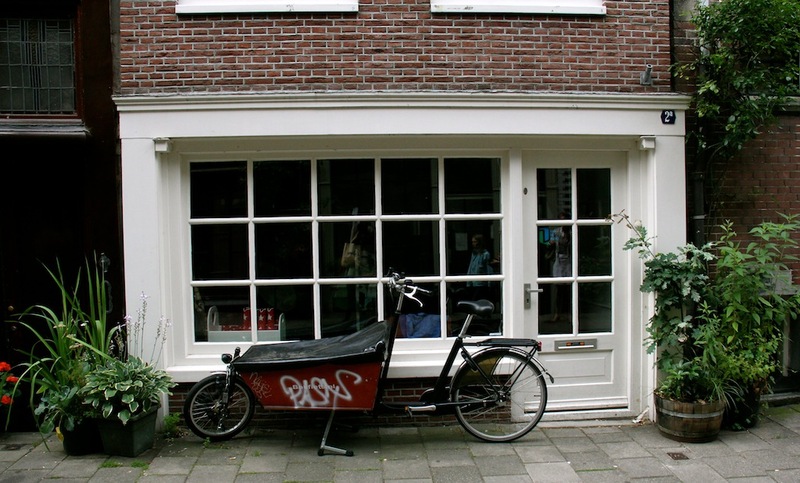 The Dutch have always been synonymous with cycling, it is as if it were an extension of their being. To make a culinary comparison, the country's landscape is as flat as a pancake, which certainly makes cycling a far more attainable and accessible mode of transportation. It's also a relatively small country. 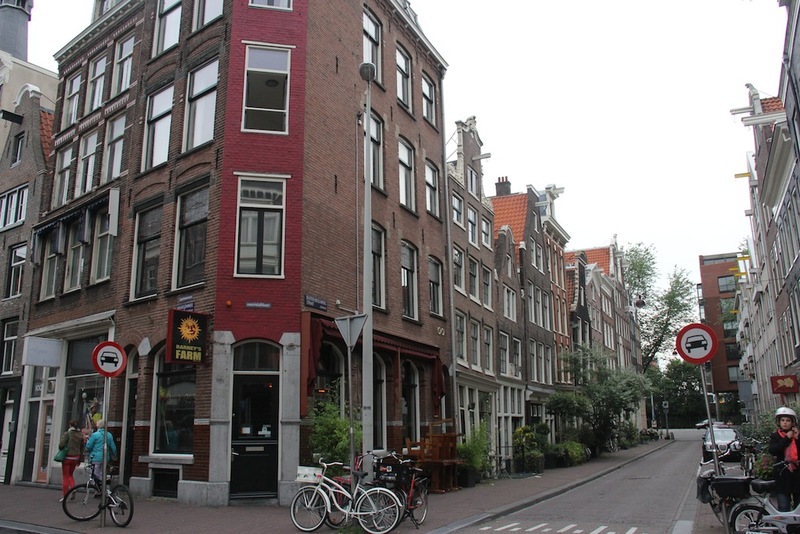 Amsterdam is a compact city; getting to your destination is easiest on two wheels. It is embedded in their history: nearly every child receives a bicycle on their fourth birthday, and learns to use it. 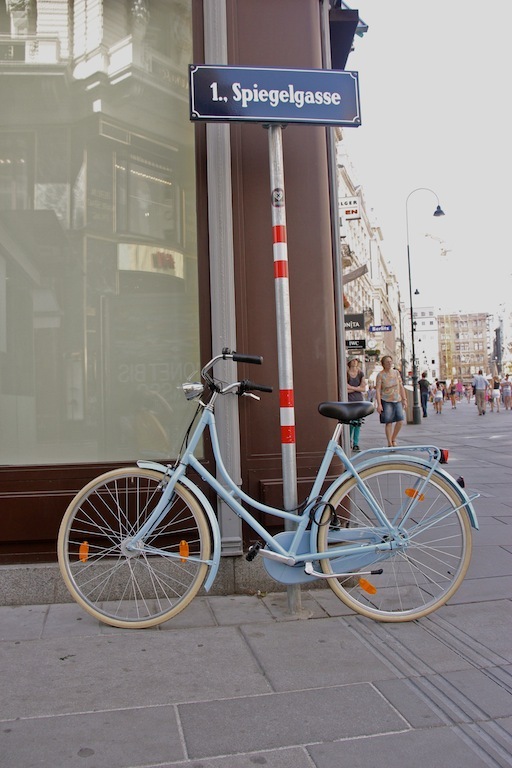 About 30% of the country's population depend on the bicycle to get them to and fro. 80% cycle at least once a week. 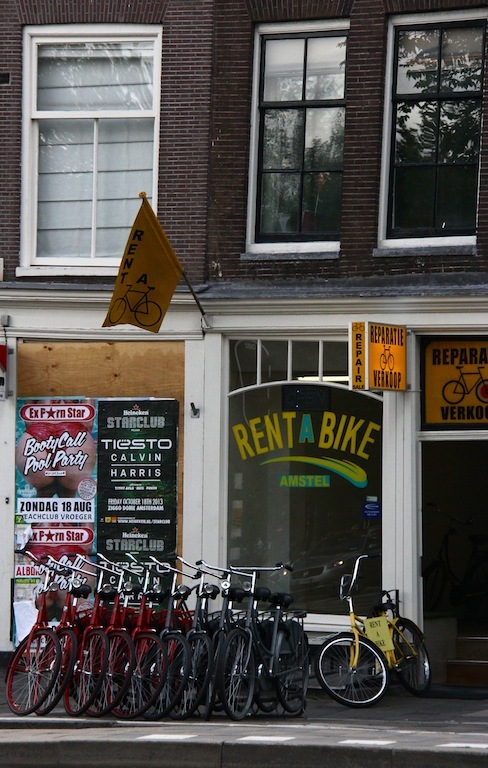 Amsterdam alone has a bike modal share of 60%, 38% of that being in the greater city area. 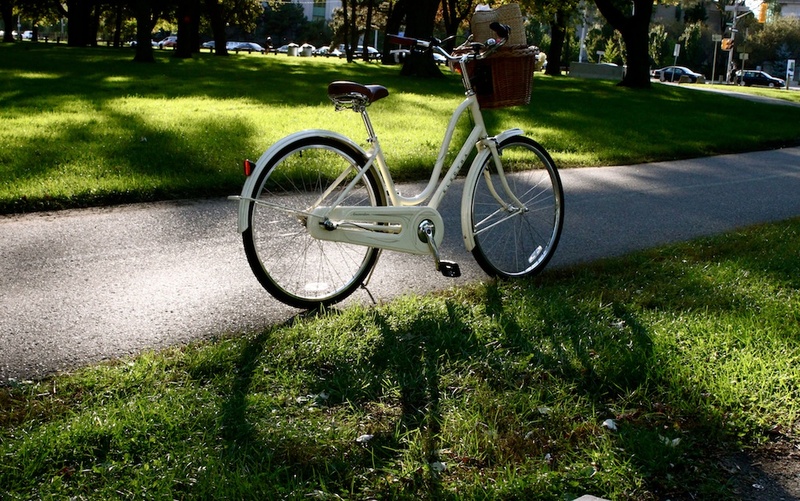 In a city of 820,654 people (as of May 2012), there are over one million bicycles owned. 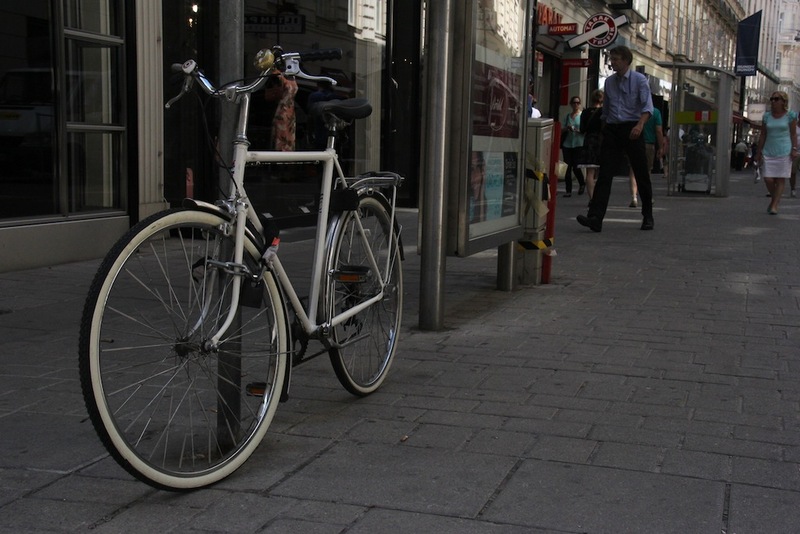 "The bicycle is the grease in the traffic system, and in part, the economic system.... It makes everything possible." 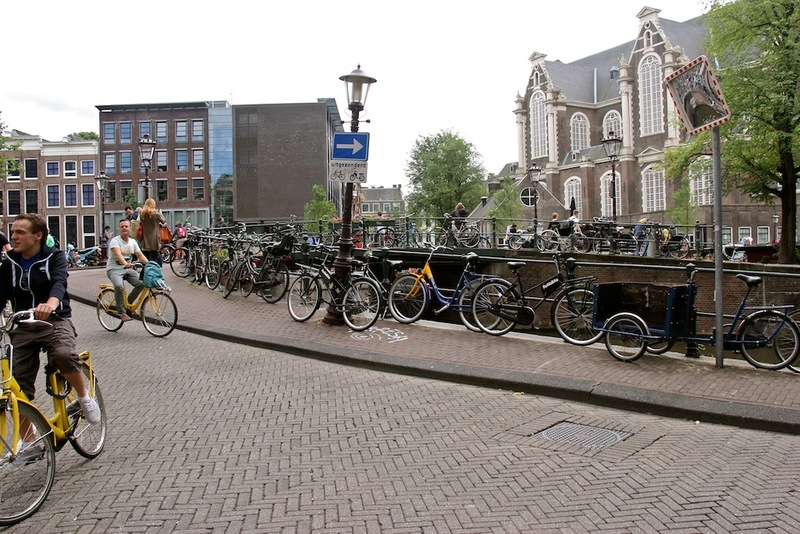 Aside from the endless loveliness that cycling provides (sustainability, clean, quiet, efficient), the Dutch primarily cycle as they simply enjoy it - it is a way to be. There were suited businessmen on bicycles, briefcases in baskets or their important goods and documents stored in leather panniers; well-coiffed women in heels on two wheels; mums leading the way with their children following close behind, and students navigating the narrow streets. 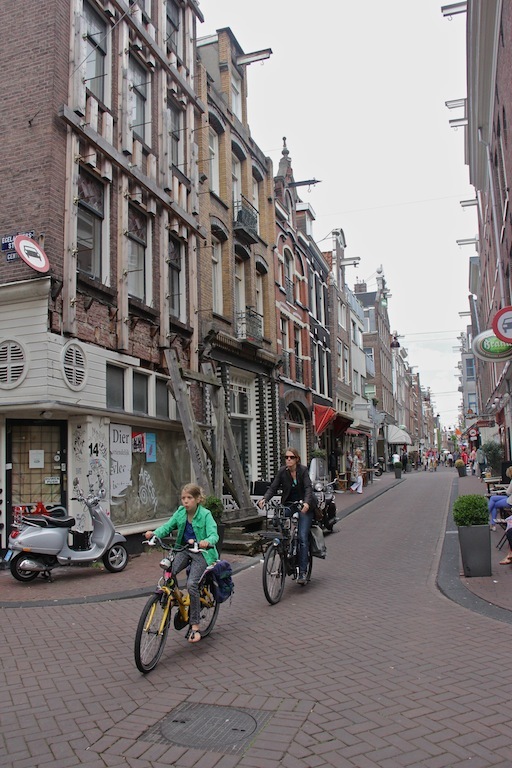 The bicycle is really an extension of their being: they cruise along and weave through the city's narrow streets expertly. Despite the seemingly carefree and often overwhelming nature of all this (with the streets literally bustling with bicycles, cyclists splitting the streets' seams), I failed to catch one cyclist cutting off another, or see someone being overtly irresponsible or reckless, and there certainly were no instances of cyclist vs motorist, or a dreaded dooring [LINK] scenario. There was unprecedented respect amongst everyone, an underlining understanding that they all use the road and must share it appropriately. 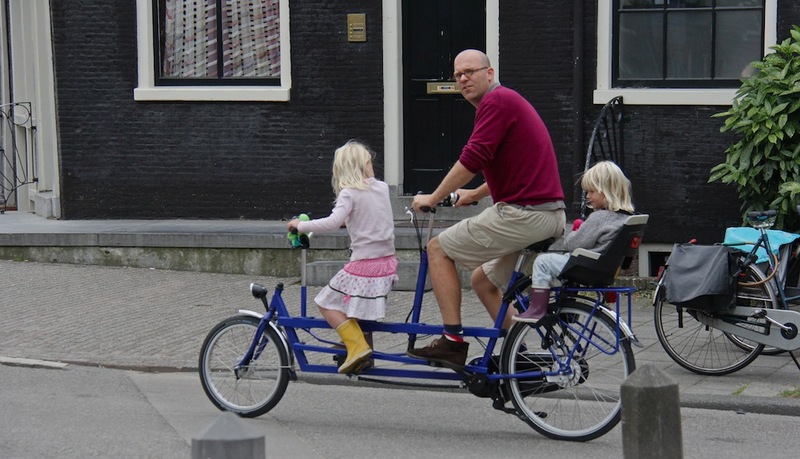 One of the most charming sights I caught while wandering around the dreamscape that is Amsterdam was a family on a triplet (a tandem, plus one). A father, and his two daughters. 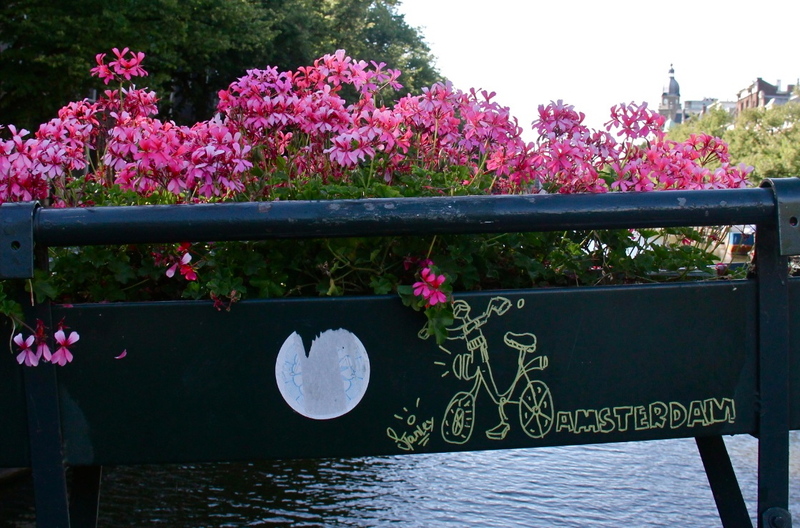 "There's nothing like biking along the canals just before the day grows dark, you feel at peace." "I can't understand anyone that doesn't cycle. It's so freeing." 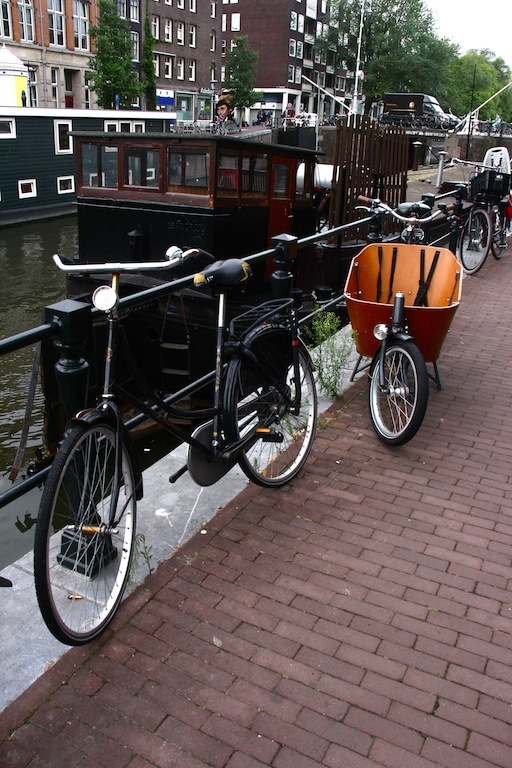 "The Netherlands is the only European nation with more bicycles than people", according to the country's most recent cycling statistic release, the 2009 Fiets Beraad (which quotes 'Bicycle Race' by Queen on the very first page, saying it could "easily be the Dutch national anthem). 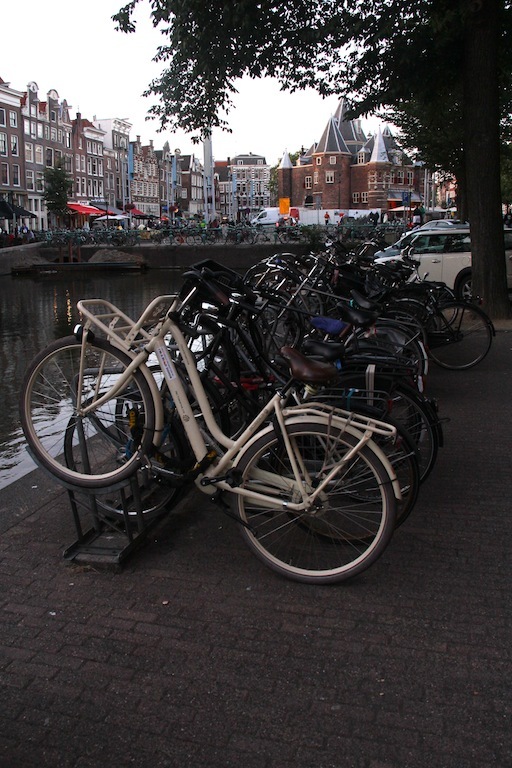 All in all, if you enjoy getting from point A to B on two wheels, then consider penning "take a trip to Amsterdam" onto your bucket list. Honestly. I still can hardly fathom just how brilliant and, well, perfect the city is in regards to cycle culture. It is seamlessly embedded into their day-to-day, it is a no brainer. 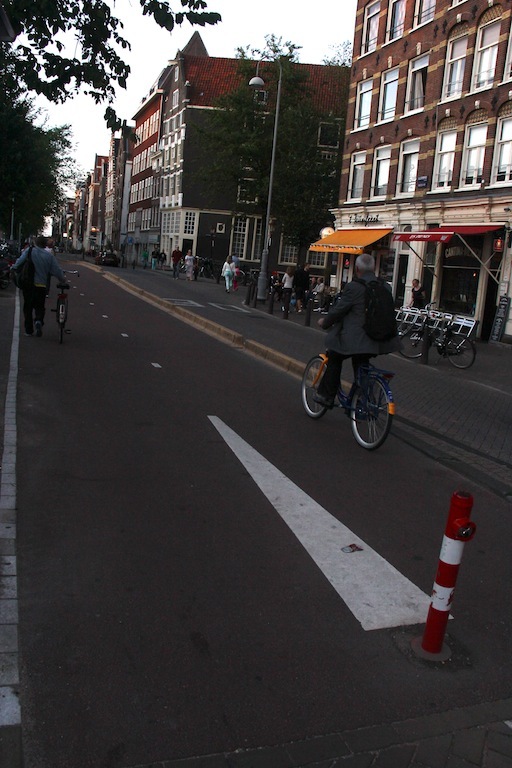 One can dream that Toronto will someday achieve a somewhat Amsterdam-esque cycling scene. Until that dream becomes a reality I'll continue cruising along and manouevering through Toronto's streets, passing the nearby ice cream shop Dutch Dreams (how fitting) on my Electra bicycle (which is an Amsterdam model -- again, how fitting) in a daydream of our city becoming more like the bicycle mecca that is Amsterdam. My My bicycle having a sit on the Waterfont Trail in Toronto. 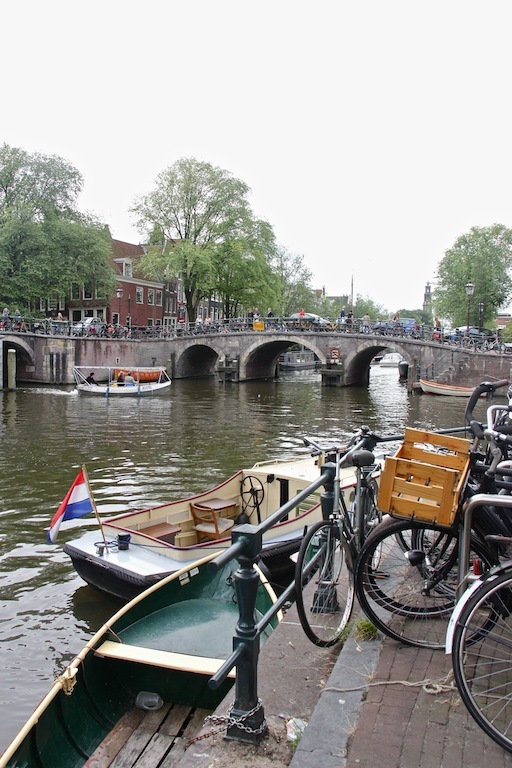 Rest assured that Amsterdam is not a rarity in Europe as far as cycling perfection is concerned. 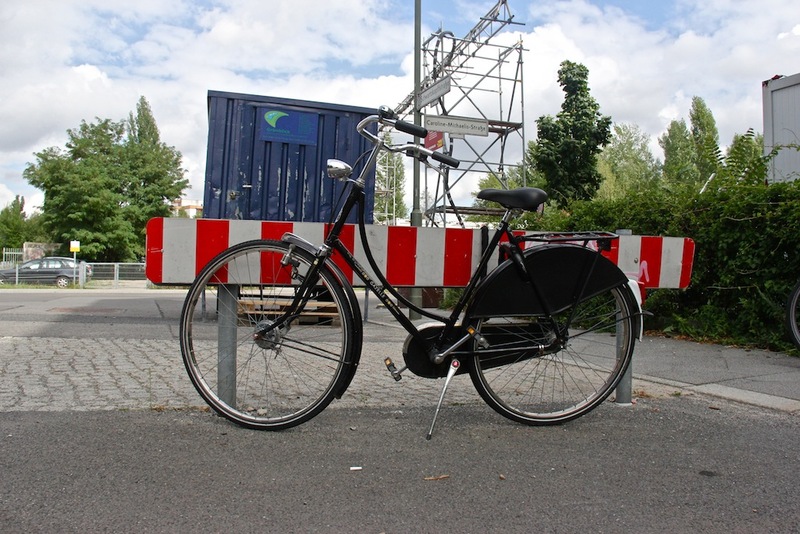 Amongst my travels, I paid visit to Vienna and Berlin, both of which had some neat bicycle infrastructure. Bike lanes in abundance, plenty of easy to understand road signage and various ways to rent bicycles were prominent in both cities. 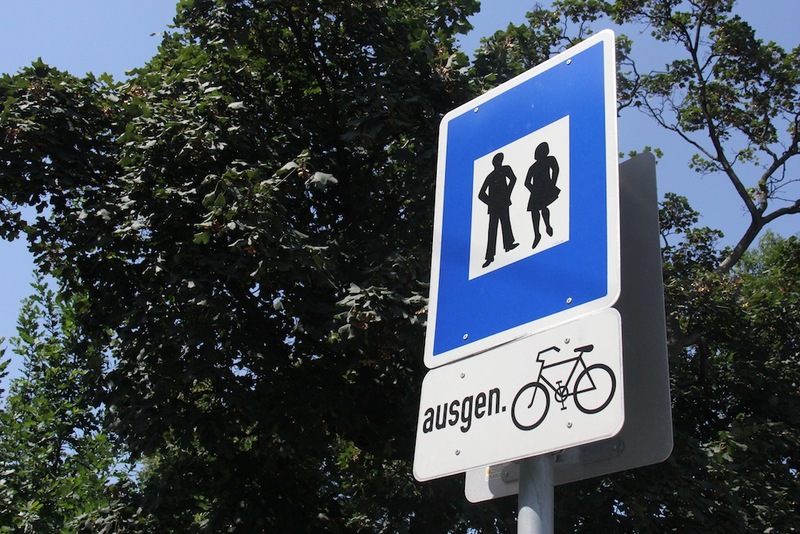 Signs in Vienna, with the Suited-up Simon pedestrians and Pedalling Pauls below. 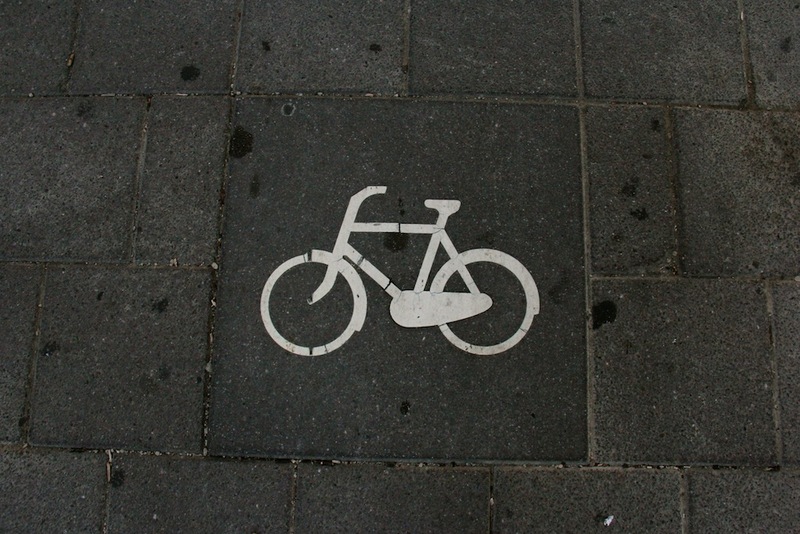 Vienna has over 1,200 km of bike lanes and cycle tracks, all clearly indicated with large symbols. 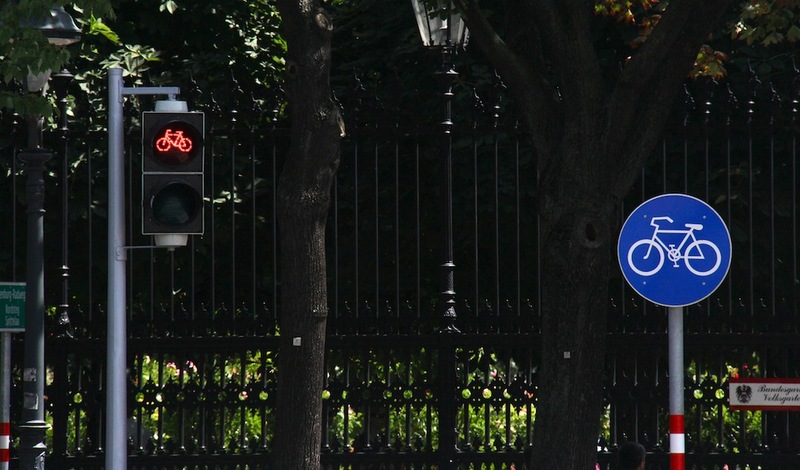 Street lights for bicycles make cycling in this city a safer experience. Cyclists, a mixture of tourists and locals, making use of Vienna's convenient and plentiful bike lanes. 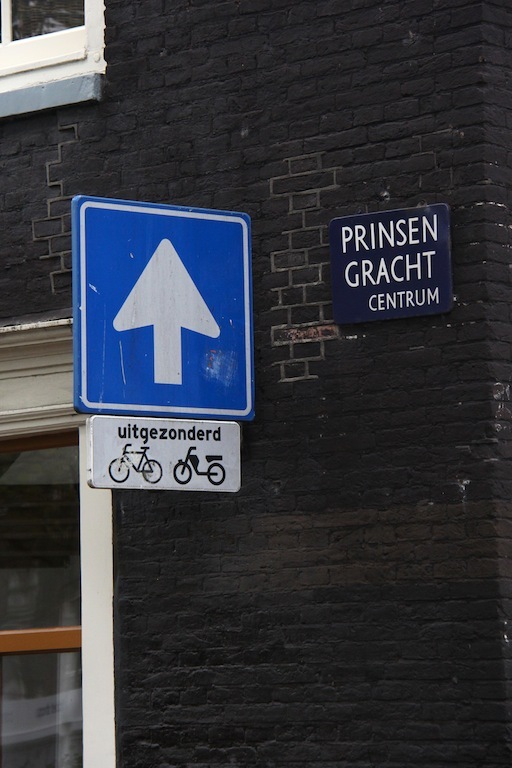 Many one-way streets do not apply to cyclists, and these are indicated by signs like this one. 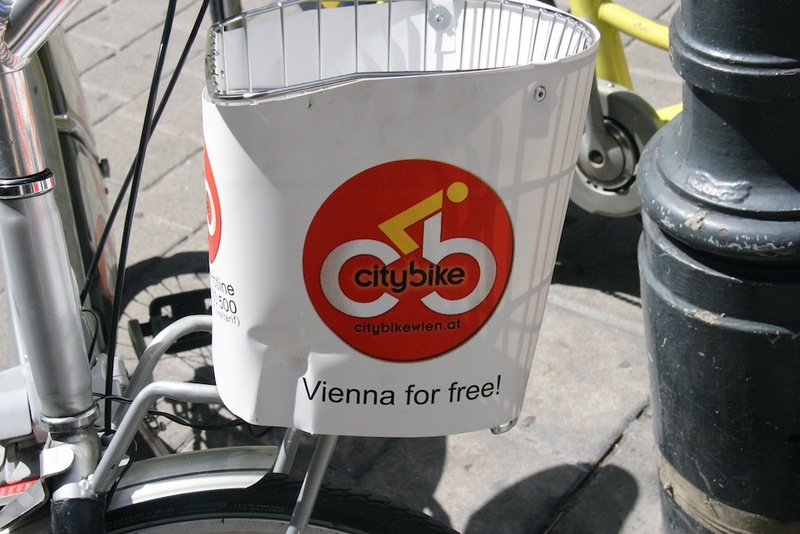 CityBike Vienna had 129, 279 riders in the month of July, a 45% increase compared to July of last year. The first hour is free, online registration is a measly 1€. 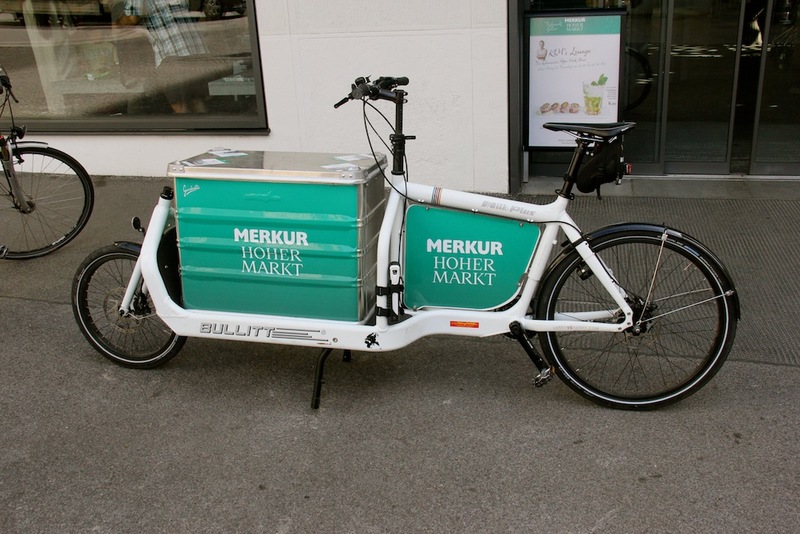 An Austrian supermarket, The Merkur Hoher Markt, is the first to offer bicycle delivery service with its "Service Bike." 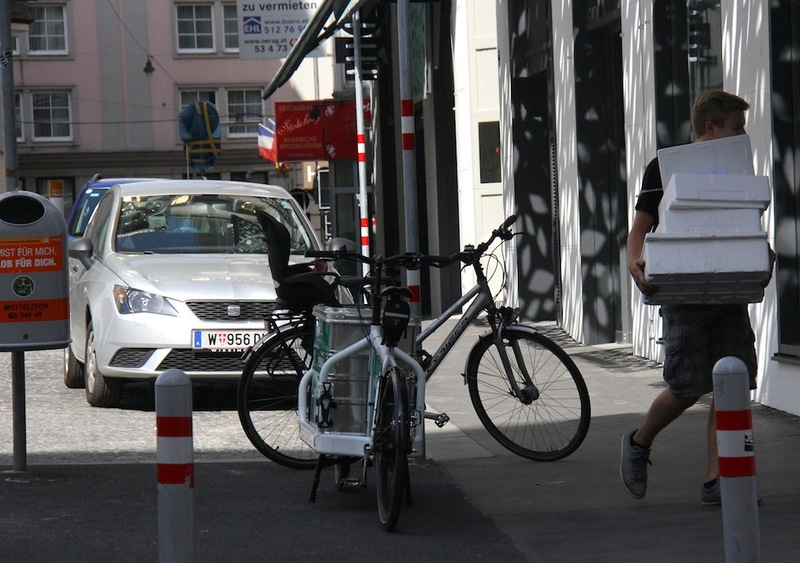 A Merkur Hoher Markt delivery in action. A periwinkle beauty sits in the main city square. 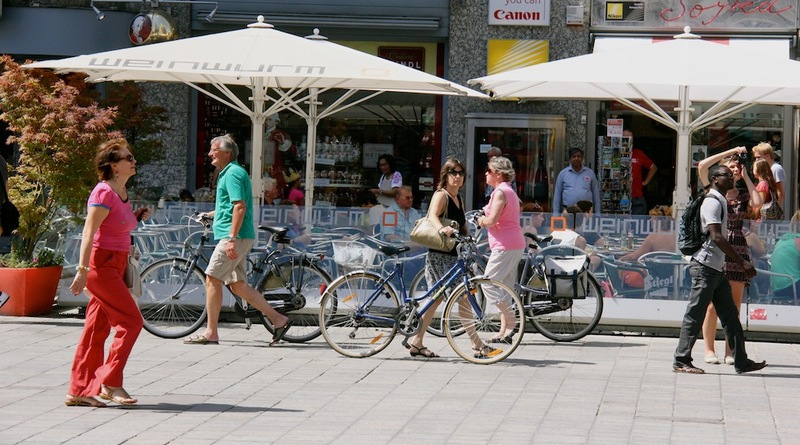 Viennese pedestrians and cyclists in the downtown core. 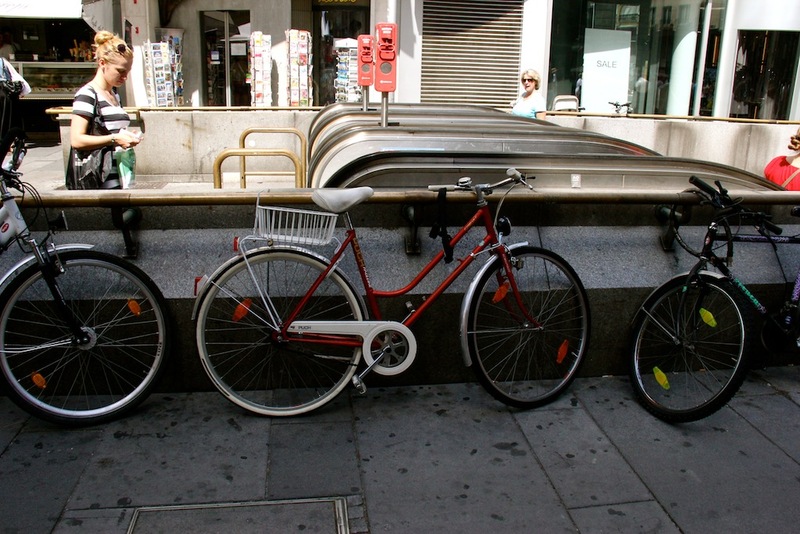 Bicycles stand outside the Vienna metro. 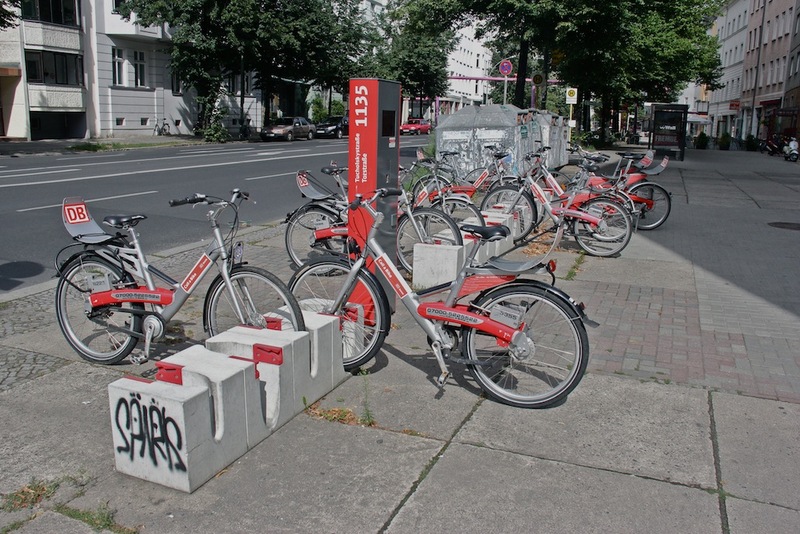 15% of Berliners commute by bicycle, a percentage that has steadily risen as of late. 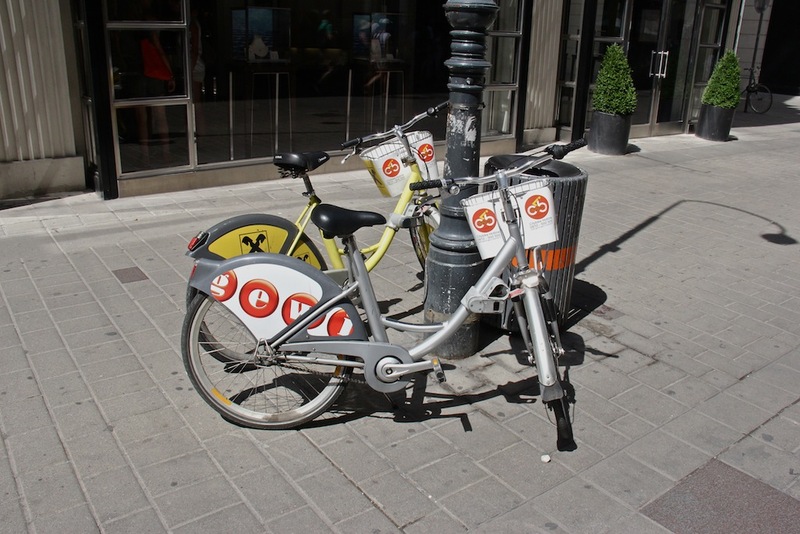 A BIXI-like bicycle sharing program, one of many available throughout the city. 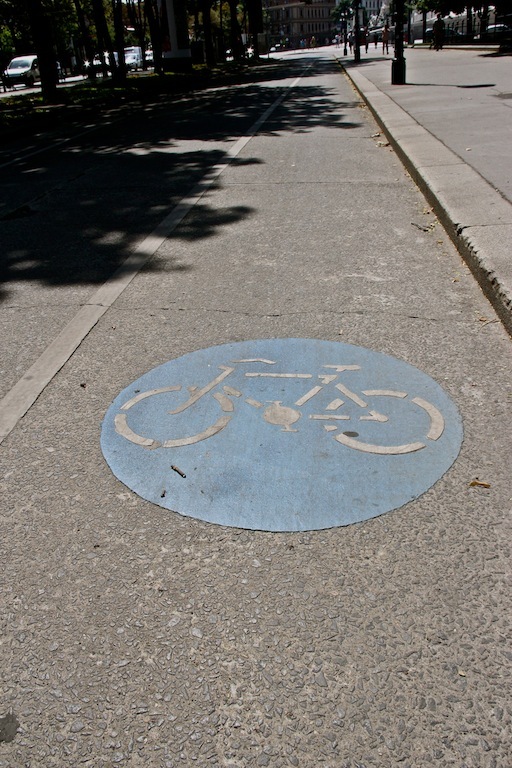 Berlin currently has 1.030 km of bike lanes, including a long distance cycleway to Copenhagen. school, salmon have their annual fall migration in mind as they return to rivers. Icapui’s police chief Carlos Alberto said that medics eventually removed the fish from heavy cover, where it often wraps the line.